Featuring Blackhawks patented SERPA Auto Lock release the SERPA CQC Concealment Holster delivers a smooth draw easy reholster and unparalleled weapon security in a sleek package that is perfect for concealed carry. The speedcut design allows for for rapid draw target acquisition and reholster. It fits Shoulder S.T.R.I.K.E. Quick Disconnect and Tactical Holster Platforms. The Serpa CQC Carbon Fiber holster includes Belt Loop Platform and Paddle Platform. This model has a black matte finish. 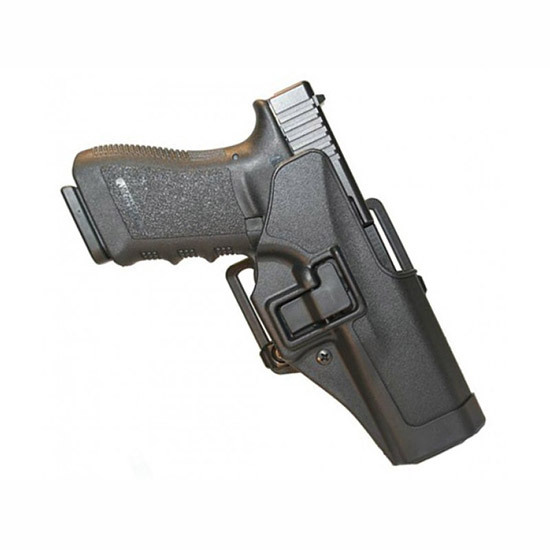 This holster will fit a Glock 262733 firearm.